Crucifixion was so hideous, so inhumane and vile, that the word "crucify" was not considered appropriate in polite speech in Greek culture. 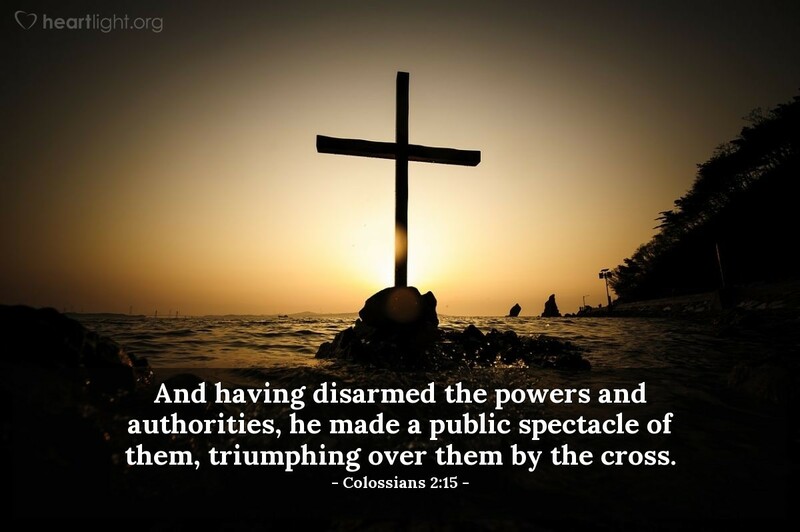 Crucifixion was reserved for the scum of society who were considered a threat to the government. Jesus endured this hideous death. But what Satan had intended for the humiliation of God, Jesus turned into the humiliation of Satan and his evil angels. He made a public spectacle of them. He turned their torture stick of shame into an altar of glory. He transformed the gory fury of hell into a sacrifice of forgiveness. He redirected evil's power to kill and made it a place to heal. While we deplore the unspeakable sacrifice and shame that Jesus bore on the cross for us, we also rejoice that the evil one and his hoards of hate are broken. Their apparent victory is turned into their defeat. What was supposed to be God's greatest shame becomes his greatest grace, which ransoms us from Satan's grasp. No words, holy and righteous Father, can ever express my appreciation for your plan, your sacrifice, and your salvation. No song of praise, no heartfelt poem, no letter of love can ever express the thanks I have, dear Jesus, for your loving and powerful sacrifice. Thank you for saving me from sin, death, and a life without meaning. To you, dear Father, and to you, Lord Jesus, I offer my life as my gift of thanks and praise. Amen.